It is with a heavy heart we announce the passing of Jello. He was humanely euthanized on Monday after a decline in health relating to his seizures and neurological issues. 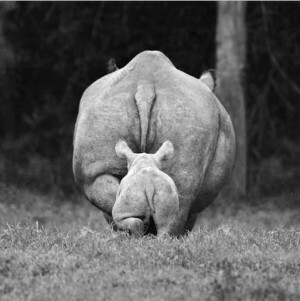 He will always hold a special place in our hearts, as the first black rhino we were privileged to meet. 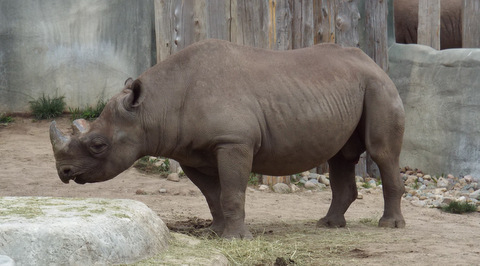 Our thoughts and sympathies are with his caretakers at the Potter Park Zoo. He will be missed. They say you never forget your first love. Mine’s about 5 feet tall, has a bit of an attitude and a very dirty nose. The moment was magical; I called to him, he ignored me, looked up briefly, then turned away obviously unimpressed. But for me, I was in love. Jello’s the first rhino I’ve officially met. Originally from Miami, he lives at the Potter Park Zoo in Lansing MI. 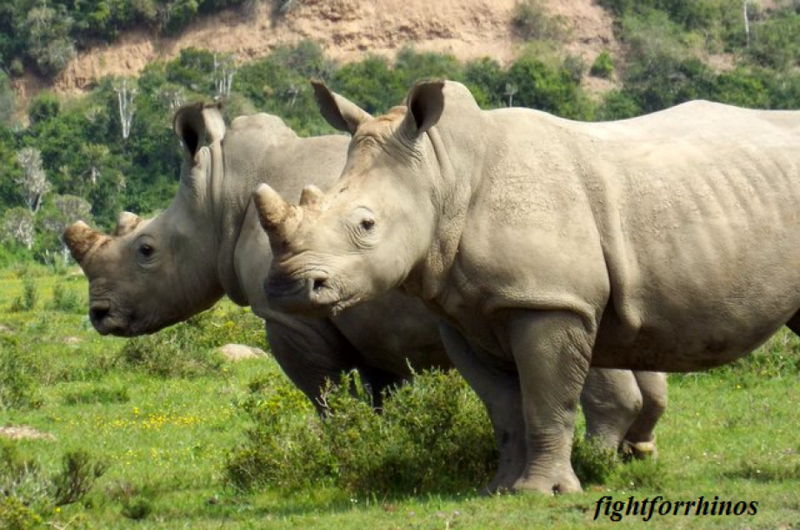 The 9-year-old black rhino is handsome (as rhinos go), and laid back. He is well cared for, and knows it. With an attitude remarkably similar to a cat, he comes to you in his own sweet time, but loves the attention once he gets it. 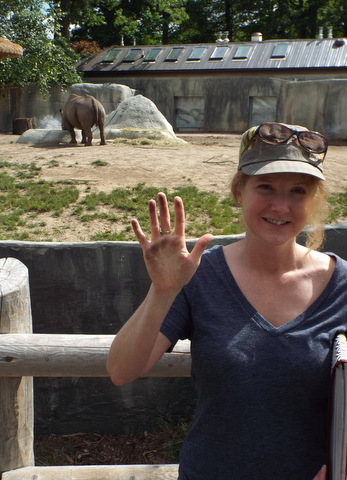 Zoo policy wouldn’t allow a “behind the scenes” photo, so to commemorate my moment-rhino dirt from rubbing Jello’s “sweet” spot!